← Facebook Fun Freebie Hop! 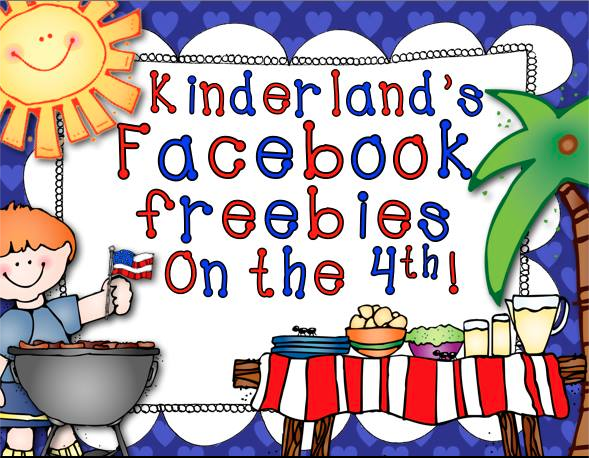 About 40 Kinderland blogging friends and myself are having a Facebook Freebie Hop TODAY to celebrate the 4th of July! Get ready for 40+ freebies by hopping through some awesome K-1 Facebook pages! Go to my Kristen’s Kindergarten Facebook page to start. Once you’re there, click on “Like” to like my page if you haven’t already and then click on “Get your freebie here” to download it! Then click on the circle area to head to Lanier’s Lions to get her freebie. Keep clicking those two spots and “Liking” each Facebook page for more freebies! Enjoy your freebies and Happy 4th of July! Thanks to all the brave men and women who protect us and keep us free!